The Home Cockpit Flight Simulator doesn’t have exactly the same control mechanisms as real aircraft. But it does come vaguely close. The home cockpit does an impressive job simulating the sounds of flying a real airplane too. 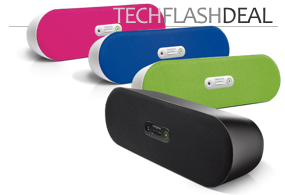 Five speakers provide true surround sound. Beneath the simulator is a subwoofer; powering up the thrusters literally rattles the chair. All that’s run by an included Dell XPS Studio desktop with Windows 7 and gold edition of the Microsoft Flight Simulator X. The software is truly excellent—fly more than 30 distinct aircraft on over 80 missions and to over 5,000 airports. • A gaming computer. One with some oomph to it. The Dell Studio XPS Hammacher Schlemmer uses is around $850 with the Amazon discount. Spot Cool Stuff suggests a gaming desktop by Alienware instead. • Surround sound system. One with a subwoofer. There are several to choose from. A great option that has five speakers and an extremely reasonable pricetage is the Logitech Z506—Amazon has it for around $80. • One or two monitors. 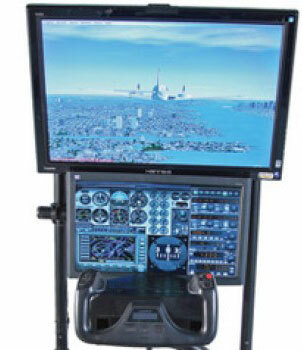 Bigger is better when it comes to flight simulating. We suggest at gaming monitor that’s at least 22-inches. A 28-inch monitor like the I-Inc can be found for as little as $250 with a discount. Instead of a second monitor you can get an information panel specifically designed to be used for home flight simulators for around $130. • Cockpit flight controls. There are several options. SCS is partial to those in the Saitek Pro Flight line. 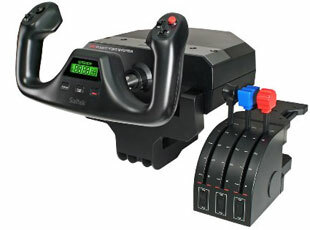 The Saitek yoke and throttle set can be had for $125. The yaw pedal controller is about $100 as is the flight radio. • Microsoft Flight Simulator X: Gold Edition. It is one of the coolest software games on the market, well worth getting even without the specialized flight controllers. Happily, this excellent sim is also an excellent bargain: $30. 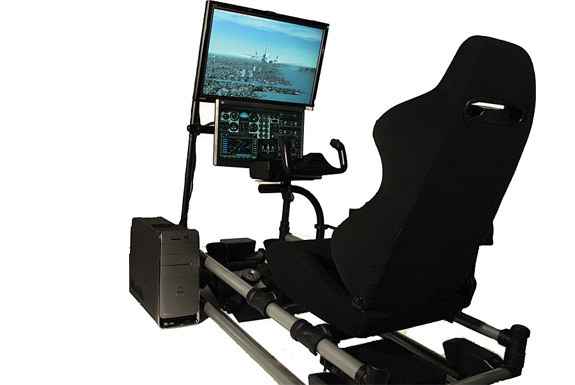 Of course the $7,000 Hammacher Schlemmer Cockpit Flight Simulator comes with everything pre-set and has an adjustable cockpit-esque chair. Still, add up the approximate prices of the components listed above and the cost of a DIY home cockpit flight simulator comes out to $1,665. Surely, that’s a better deal than going through Hammacher Schlemmer, you are saying. We think so too. But don’t call us Shirley.